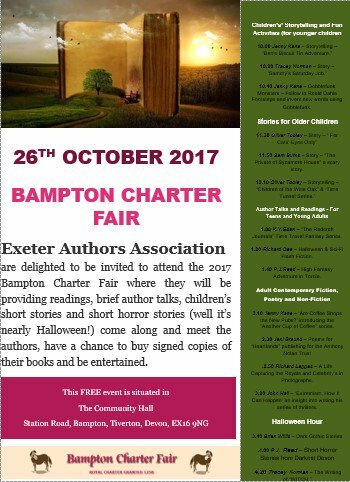 Next week, on 26th October, I’m delighted to say I will be at the Bampton Charter Fair, selling my books, reading, and giving talks to adults and children about my work, and the joy of playing with words. 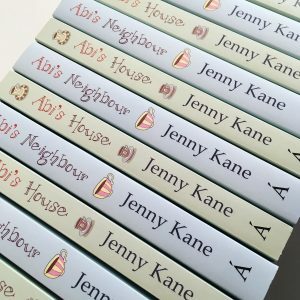 I will be with my fellow authors from the Exeter Author Association- you’ll be able to find us in the Community Hall on Station Road, conveniently next to a café and a nonstop supply of coffee! For centuries, the fair mainly sold sheep and cattle and was the largest sheep fair in the South West of England. During the 1880’s to the 1980’s it evolved to become the famous Bampton Pony Fair trading in Exmoor ponies. Opening from 9am, the Charter Fair regularly attracts in the region of 10,000 visitors- so why not come along and join the fun, pick up a few early Christmas presents, and hear a story or two along the way.